A deposit of 10% of the total tour price is required during bookings, The remain 90% you can pay us two weeks before tour dates or pay us by cash on your arrivals. We will send you a signed and stamped contract by E-Mail confirming the advance payment immediately after receiving your payment. Cancellations 5 weeks or earlier before the planned tour date are free (Exclude transaction charges). For later cancellations we keep a fee of 10 % of the tour price. Quoted tour prices include planning, handling and operational charges and are based on the current rate of exchange and tariffs. In the event of a marked change in foreign exchange rates, fuel costs or tariff rates and government tax, tour costs are subject to revision. Such increases will be added to the client final billing. 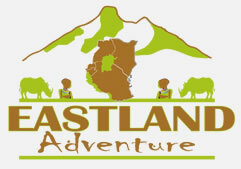 Eastland Adventures reserves the right to vary itineraries and prices, and to substitute facilities and hotels of equal or better quality if necessary. Travel insurance is strongly recommended for all travelers to obtain coverage for themselves, travel companions, and family members to cover unforeseen travel issues such as cancellations, interruptions, delays, lost/stolen/damaged travel documents and personal property, medical expenses, and emergency transportation. These tour programs are operated by Eastland Adventures. For certain services like transportation and hotels we contract with other companies. Eastland Adventures is not responsible for any losses or damages of personal property, injuries or unforeseen expenses incurred by any tour member. If you are not satisfied with the services provided by us or our partner companies please inform us as soon as possible during the tour or after the tour. When we learn about problems soon we are more likely to be able to fix them in a satisfying way. All travelers or tour member should be contact the government travel bureau for your respective country for information concerning possible dangers in Tanzania or East Africa. During the tour it is vital that you follow the advice of your guide(s). Do not attempt to climb Mount Kilimanjaro or mount Meru when you are sick. If you contract a minor illness like the common cold shortly before your climb we recommend to change plans and for example do a safari instead.